Valentines Day is upon us and while I love all things to do with love, I can't help but find that as I grow older, my tolerance for the day fades. It's fake and pretentious and filled with annoying couples who decides they must go out to celebrate on this day to show the world how happy they are. 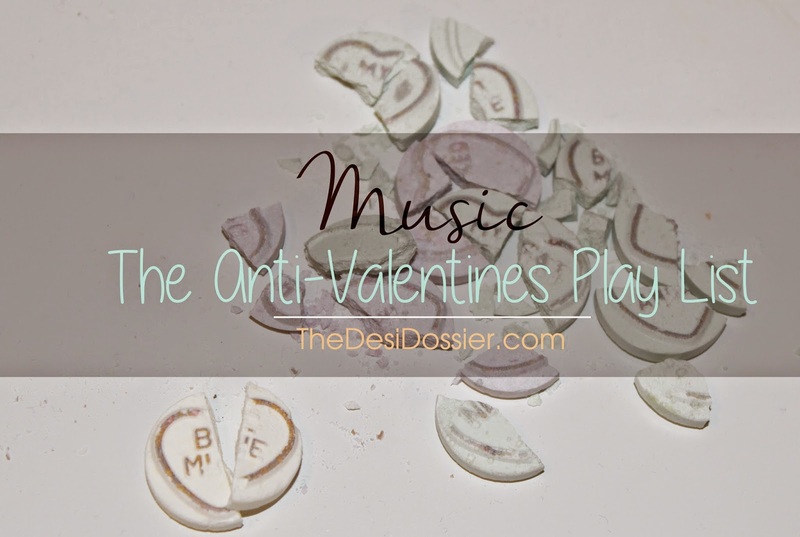 To celebrate I am sharing my Anti-Valentines Day Bollywood playlist, which is full of my favourite sad Bollywood songs. What's your opinions on Valentine Day? Love or Loathe or don't even care? What's is your favourite sad Bollywood song. Comment and let us know and I'll add it to the playlist. Love the songs you chose - all my faves! love that it's an anti-valentine's day song list. Kolaveri is one of our faves.